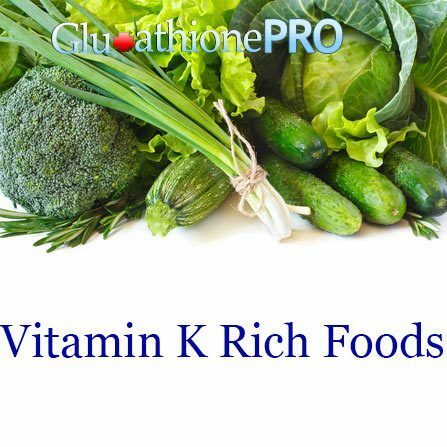 Vitamin K is a fat-soluble vitamin that fall into two main categories namely phylloquinones from plants and menaquinones from bacteria. Vitamin K plays an important role in blood clotting, which helps in preventing excessive bleeding. Vitamin K also helps the body to absorb calcium and thus making it essential for your bone health. Most the foods we eat especially leafy vegetable contain vitamin k and therefore it is possible to maintain a Vitamin K rich diet. Below are some powerful vitamin k foods. It is important to incorporate kale into your favorite meals. A cup of chopped kale can provide your body with high amounts of vitamin K. Kale provides other vitamins such as A and C as well as calcium and iron. Kale has the most concentrated amount of vitamin K among the leafy greens, making it extremely beneficial if added to your diet. Steamed or raw cabbage can help your body treat arthritis, stomach ulcers, high cholesterol, weight gain and constipation. One cup of chopped cabbage can contain 76mcg of vitamin K which is about the daily value recommended. You need to include more cabbage in your diet so that you can increase the amount of vitamin K as well as vitamin E, Vitamin C, calcium, potassium, magnesium and fiber. Spinach is known to be one of the healthiest nutrient rich foods that you can add in your diet. Whether cooked or raw, one cup of chopped spinach contains numerous vitamins, antioxidants and minerals that include iron, vitamin C, Vitamin K and calcium. One cup of chopped spinach contains 140mcg of vitamin K which is almost twice the recommended daily value. When consumed regularly, broccoli will improve the health of your heart, nervous system, eyes, skin, bones and blood pressure. Broccoli provides a number of vitamins and minerals that include potassium, zinc, vitamin K, calcium and Vitamin C. One cup of chopped broccoli contains 110mcg of vitamin K which is about 140% of the daily value. Scallions are commonly known as spring onions they provide a good number of vitamins and minerals. Scallions are rich in fiber, Vitamin K, proteins, Vitamin C and the B Vitamins. They can easily be incorporated in your diet in place of yellow or white onions. A cup of chopped scallions contains 200mcg of Vitamin K which is around 250% of the daily value. A cup of Brussels sprouts contain about 33mcg of vitamin K which is about 42% of the daily value that is recommended for adults. Brussels sprouts are also rich in other vitamins and minerals such as folate, potassium, iron, vitamin C and manganese. Pickles contain small amount of vitamins and minerals compared to other vegetables but they are a healthy choice when it comes to Vitamin K. A medium pickle contains slightly more than 26mcg of Vitamin K which gives you 34% of the daily amount required. Pickles are rich in vitamin A, lutein and fiber even though in small value. Vitamin K forms a very important part of glutamic acid which is an amino acid that creates a chemical activity called carboxylation. This chemical activity helps the blood from an injured area to stick around the nearby tissue, thus prevent excess bleeding and clots the open wound. Heavy menstrual bleeding, anemia, nose bleeding, hemorrhaging and easy bruising can be an indication of vitamin K deficiency. Vitamin K improves the health of the bones in two ways. Most importantly, vitamin K plays a key role in calcium absorption, bringing nutrients directly to the bone as opposed to allowing calcium deposits to build up in the tissue that can cause serious health concerns and malnourished bones. The second way is by chemically altering the protein found in the bone which is related to bone mineral density by a process known as carboxylation. Calcium can build up inside the tissue through a condition known as calcification which can lead to dangerous cardiovascular disease. 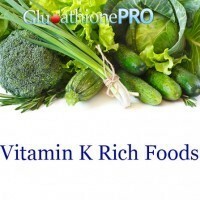 Vitamin K will fight calcification through a process called carboxylation. 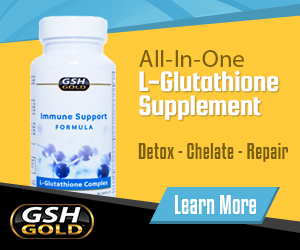 This is a process where matrix Gla protein is produced in order to stop the formation of calcium in tissue. Higher vitamin K levels have indicated that there is a very slow release of glycoprotein interleukin 6 which is known to indicate the presence of inflammation in the body. Inflammation is a marker in the progression of cardiovascular disease and osteoporosis, making vitamin K a beneficial nutrient to minimize inflammation precursors and reduce your risk of developing these inflammatory disorders. Vitamin K comes in 3 different forms, Vitamin K1 (found in the leafy green vegetables listed above), Vitamin K2 (found in meat and fermented foods), and Vitamin K3 which is a man made synthetic form, we do not recommend supplementing with Vitamin K3. Vitamin K2 is the most important form of Vitamin K, often the form that most people are deficient in. It can actually be made inside the stomach but we recommend you supplement your vitamin K2 (MK-7) levels to achieve the full benefits and prevention of possible vitamin K deficiency disorders.